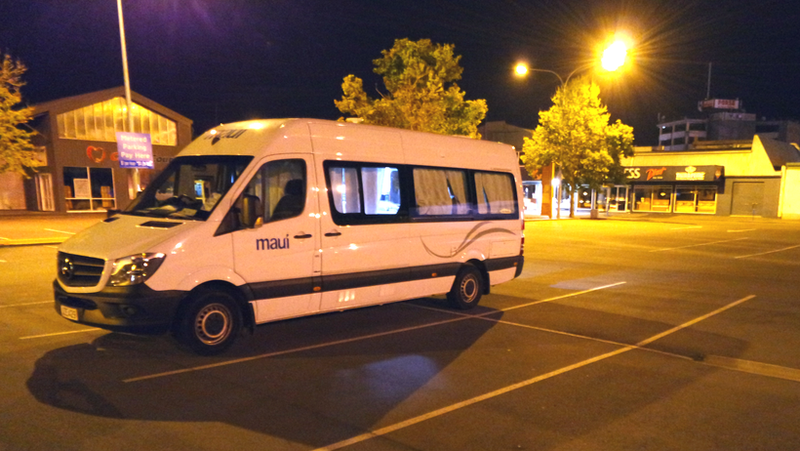 Your flight to the other end of the world is booked and now you “only” need to get a campervan for your trip? There are endless offers and so many different options to choose from, that we thought, it is a great idea to write down some tips for you, based on our experience. And I can tell you, we have spent quite a few hours comparing all the prices and options. So here’s the thing, there are basically two questions you need to answer for yourself. How much luxury do you need? – and – do you wanna go freedom camping out in the nature or do you prefer a campsite? This is important to be able to cut down what to look for. 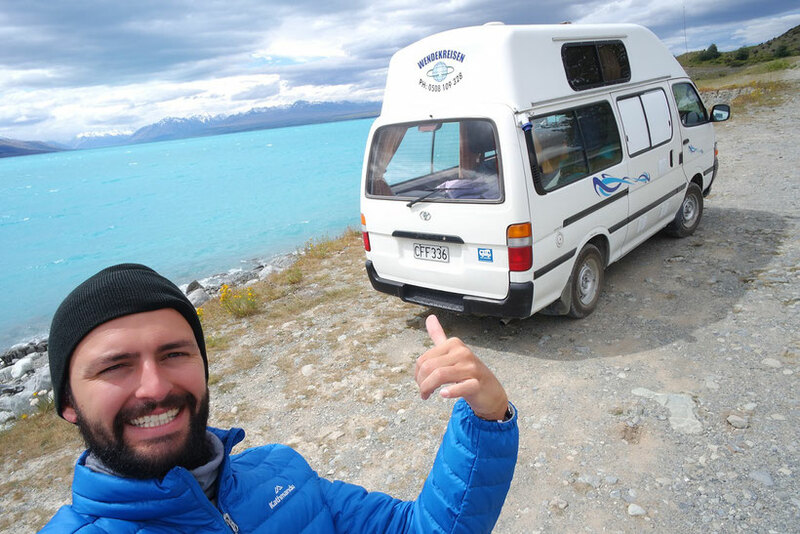 Freedom camping gives you the chance to sleep directly on the shore of Lake Pukaki with a view on the snowy mountain top of Mount Cook, but with no sanitary facilities, power or kitchen except from what you have in your van. 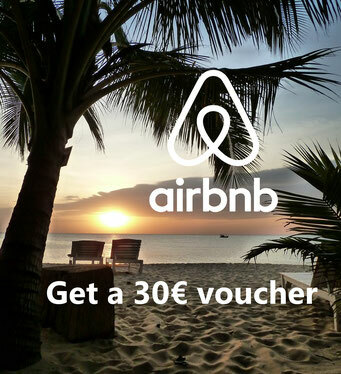 Campsites on the contrary offer wifi, power, showers and security. Security hasn’t been any issue for us, but we have heard of stories that cars were broken into. This is basically a spacious car where you can sleep in the back when removing the rear seats and install cooking facilities accessible from the back door (mostly a Toyota Estima). It is definitely the cheapest option you can get, but it has one major disadvantage. Besides little space and no luxury, this car type is not self-contained. Which means you are not allowed to freedom camp and most of the stunning spots are prohibited to you. 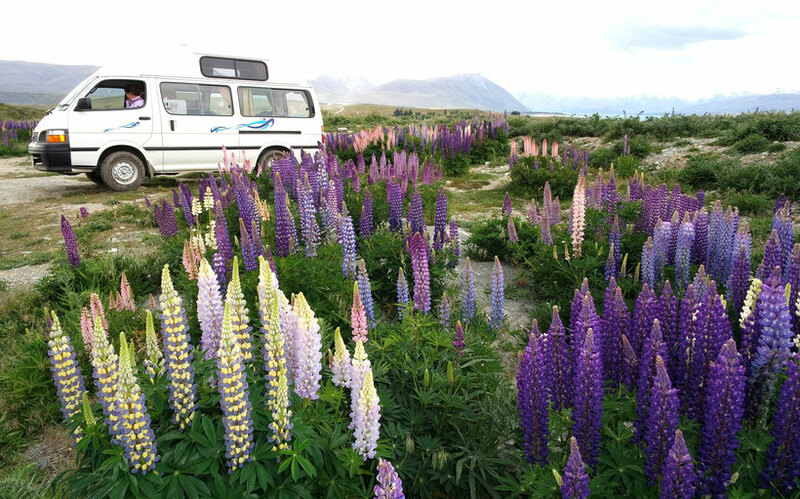 Campsites will cost you extra money starting from 20 to 50 NZD. Most price-conscious couples would probably go for this options just like us. Normally this is a campervan based on a Toyota Hiace or VW Bus topped up with a high roof that you have more space in the inside. You have a small kitchen and a table in the back that you can convert to a double bed. 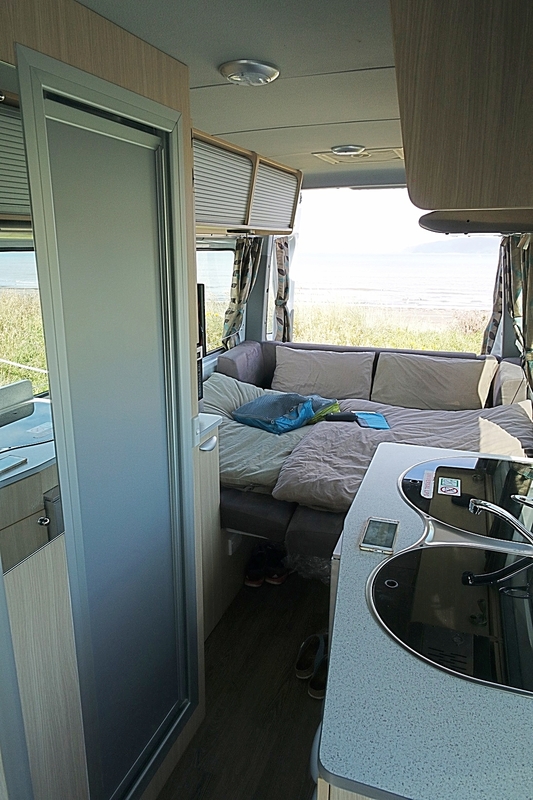 Some are even suitable for a small family with one child (often indicated as 2+1 berth). These camper types are generally certified self-contained, meaning all camp spots are open to you. The thing is, you have a portaloo toilet stored somewhere in the car, but if you would actually want to use it, you need to take it somewhere outside. That can be difficult with a lot of other campers directly around you. So don’t depend on it, better use public toilets instead. It is more for the certificate than actual use. Moreover, a proper kitchen with gas stove, fridge and sink is installed in this camper type. Fresh water and wastewater is stored in tanks (about 40L) that should last up to 3 days. This type offers all what category 2 does as well, with the only advantage that you actually have a real toilet cabin installed in the car. This is for sure much more comfortable. Furthermore, the water tanks are much bigger in those vans (about 120L), making it less of an effort if you need to visit the dump stations less often. Of course, this option will cost you much more. Keep in mind, prices jump insanely around the year! Rental prices vary greatly throughout the seasons. 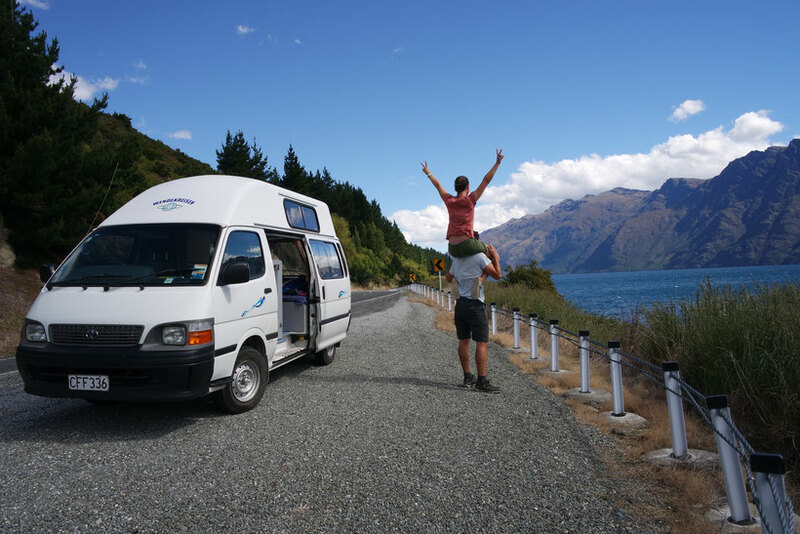 In the southern winter (June to August) you can get a campervan for 20 NZD per day, while you might pay for the same vehicle probably 130 NZD in January. The super high season is from mid December until end of February and will cut a big hole in your pocket. On the other side, you will have the best weather and warmest temperatures. November and March are comparably cheaper, but still a good time to go. So if your schedule is a little flexible, try to pick your holidays just before or after the high season. For example, our camper was just 79NZD until the 15.12. and already 129NZD after that... so we took two cheap and one expensive week. You also need to think about getting a diesel or petrol car. The price difference between both is approximately 0.60 NZD/L. When taking a diesel-car, there will be an extra diesel surcharge of 6,5NZD/100km. Choosing a petrol-car does not include any additional costs. At the end of the day it comes out almost equally and does not really matter. Efficiency will also depend on the car age and type (we drove a new diesel-car on 9,5l/100km and an old petrol-car on 10,5l/100km). So you have picked your type of camper and cut down the options to a few rental companies? Then you can start to consider some soft facts to help you making the final decision. Hidden costs can be found in credit card surcharges, navigation rental, charges for camping tables and chairs as well as airport pick up. Soft facts can be the size of the bed and the indoor room height. Since Max is quite tall, these have been decisive factors for us. Choose the rental company accordingly to your route. Most rental companies are located in Auckland and Christchurch and offer one way rentals often free of charge. Renting the van in Queenstown might be a good idea if you have limited time and wanna avoid extra distances. Check out our article on the perfect route on the south island (coming soon). 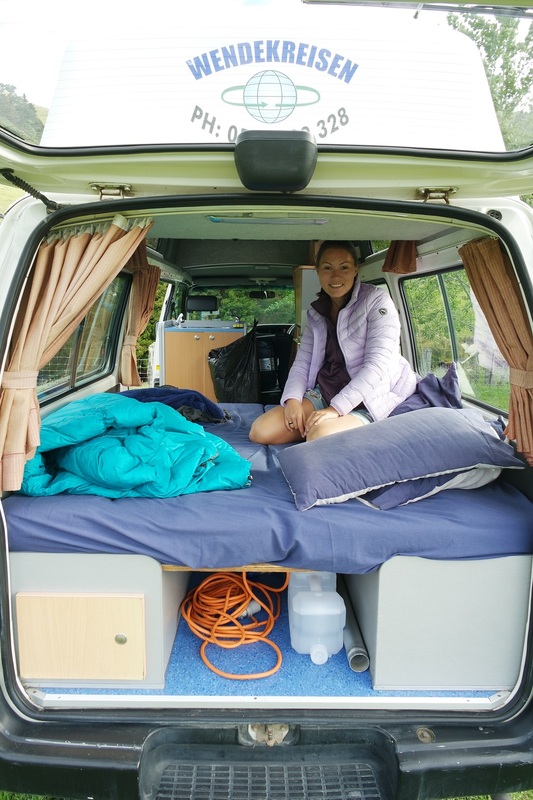 We picked a budget self-contained vehicle and spent 2 weeks during low season and 1 week in high season. We drove quiet a long distance of ca. 3700 km around the South Island, using 10.5 l/100km of petrol. All costs (rental, fuel) add up to 3,540.00 NZD for 22 days (equals 160 NZD per day) for the both of us – covering all transport and accommodation.